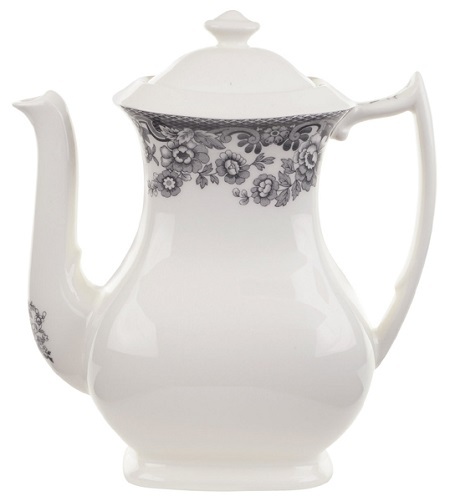 Brighten up the kitchen table with your new Spode Delamere Rural grey Coffee Pot. Made in England. Brand new and first quality china, which is dishwasher and microwave safe.